First Data | Business Equipment & Supplies - Business Directory - St. Thomas & District Chamber of Commerce - ON, ON ? 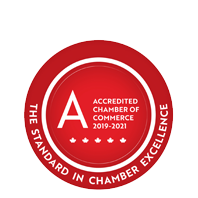 Across Canada, and here in St. Thomas & District, First Data is now offering exclusive and preferred pricing on electronic payment processing to all businesses and organizations that are Members of the Chamber of Commerce. First Data is a leading provider of electronic commerce and payment processing services to financial institutions, governments and merchants in more than 50 markets around the world. First Data offers a broad range of payment solutions tailored to local market requirements and, thanks to affiliation with the Chamber network, our Members get the best pricing on payment processing services.